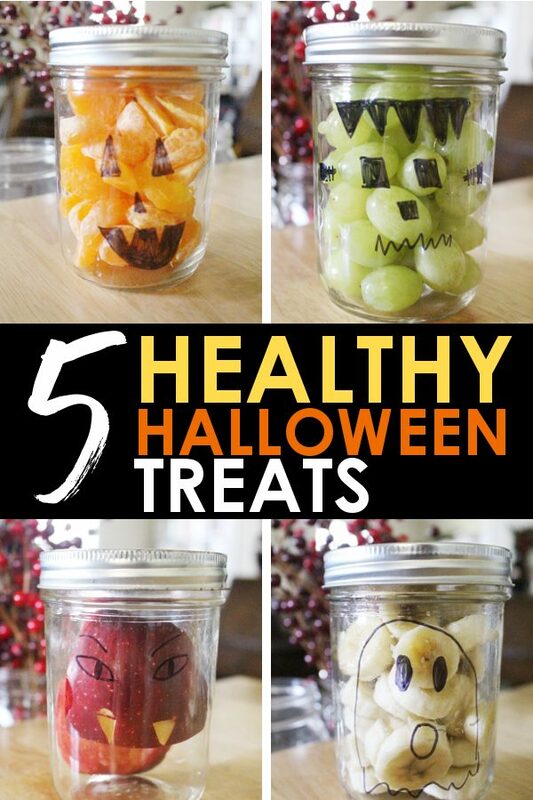 5 Fun and Healthy Halloween Treats - Delicious Snacks with No Sugar! 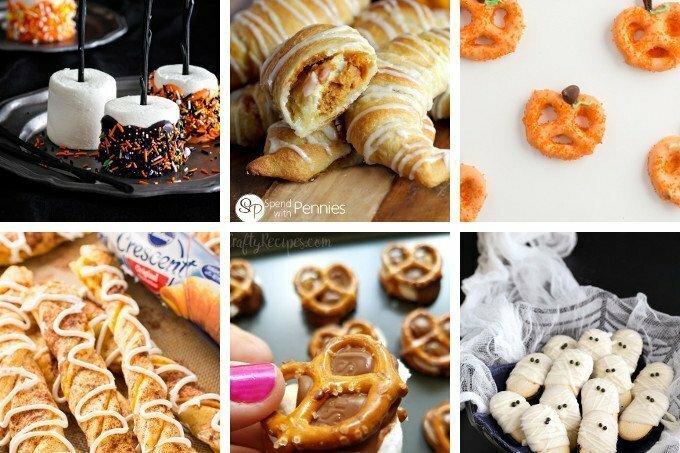 These easy Healthy Halloween Treats can be ready in just a few minutes so you can keep that fun Halloween spirit alive without all the seasonal sugar! 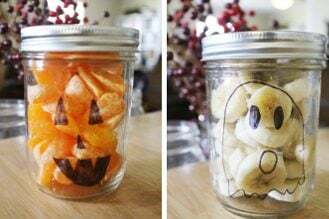 Use a mason jar and a sharpie to add a little fun without adding any additional sugar to these fun healthy Halloween snacks! Though I do love a good sugary treat, like these Harry Potter chocolate frogs, or even a crisp homemade mint milano cookie… especially around the holidays, all that sugar isn’t good for an every day snack. 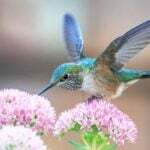 So these easy healthy alternatives really fill the bill of a fun holiday snack that won’t leave you (or your kids) hyped up on sugar! Obviously I’m no artist, but that’s not really want this is about right? 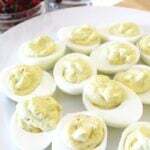 This is about a fun healthy Halloween snack that will get your kids in the holiday spirit, without overloading them on sugar! I wanted to give several different options, because if your child is anything like mine you need options! 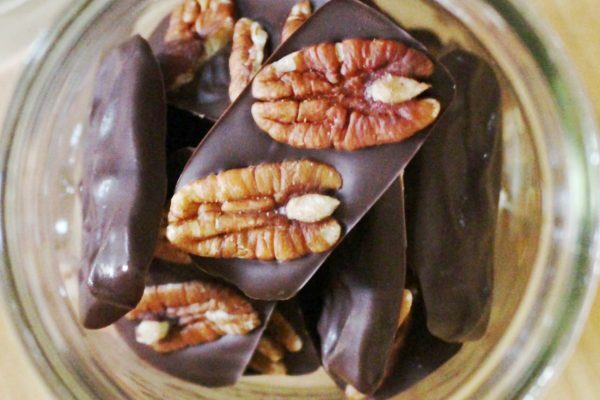 So here are 5 different fun healthy treats to try this season. I’m using a pint canning jar, which holds 4 mandarin oranges when peeled! 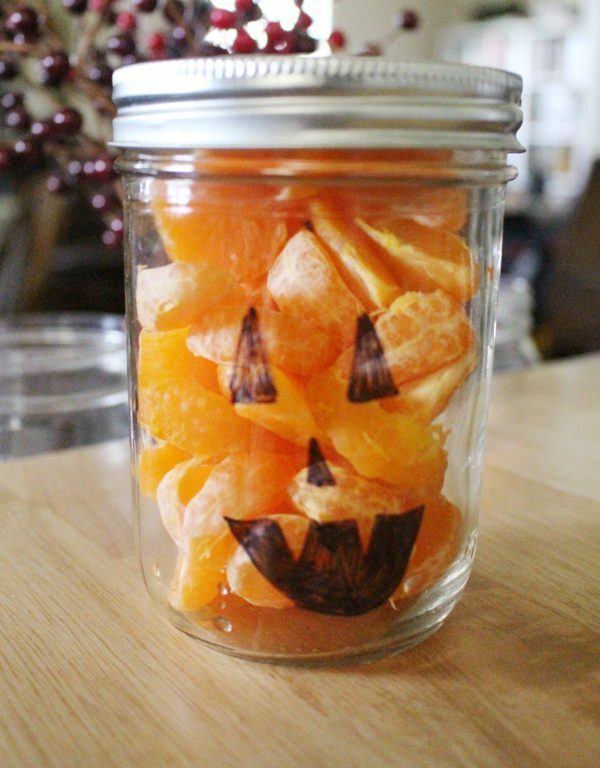 Once I had the orange slices in the jar, I just drew that classic jack-o-lantern face that everyone knows and loves. Again, with the pint canning jar I was able to fit about 1 and a half cups of green grapes into the jar. 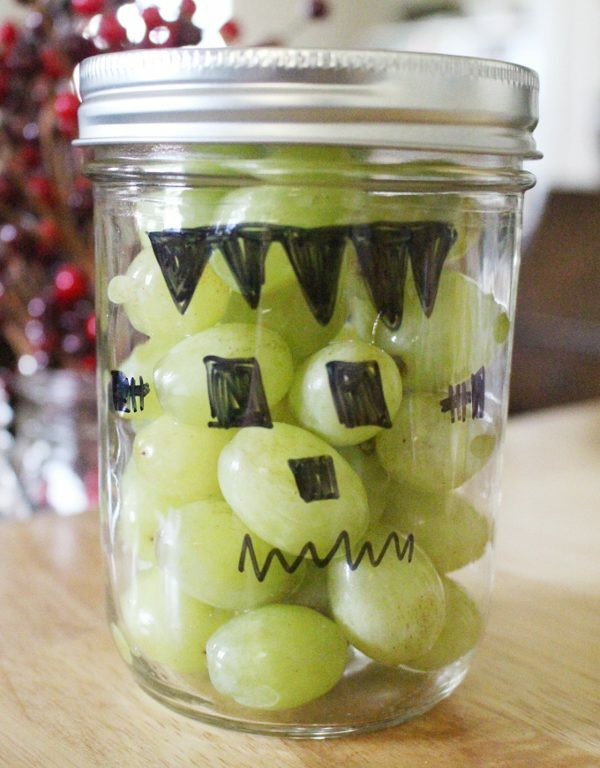 Once they are in the jar I drew a simple Frankenstein’s Monster face! This fun snack used Bananas, Pineapples, and Oranges; about 3/4 of a cup of each. 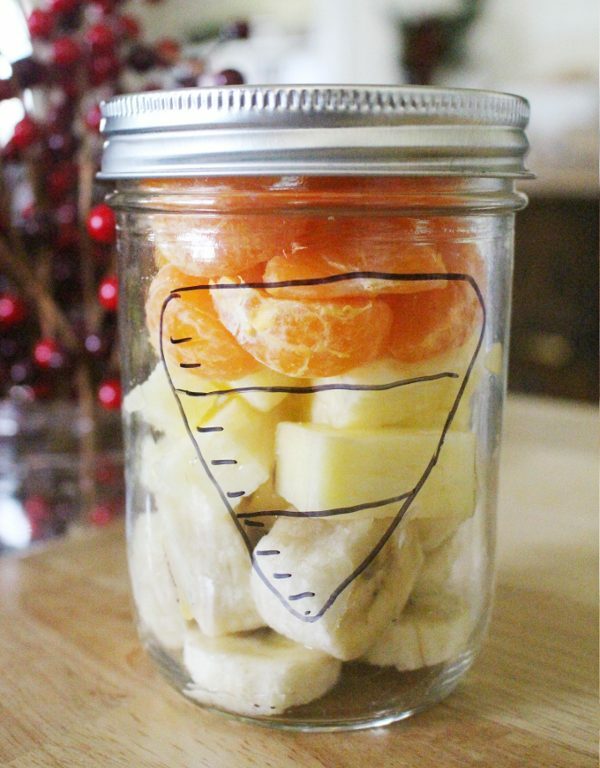 I layers the jars with the bananas on the bottom, pineapples in the middle, and oranges on top. After that I just added a candy corn shape to outline the layers! 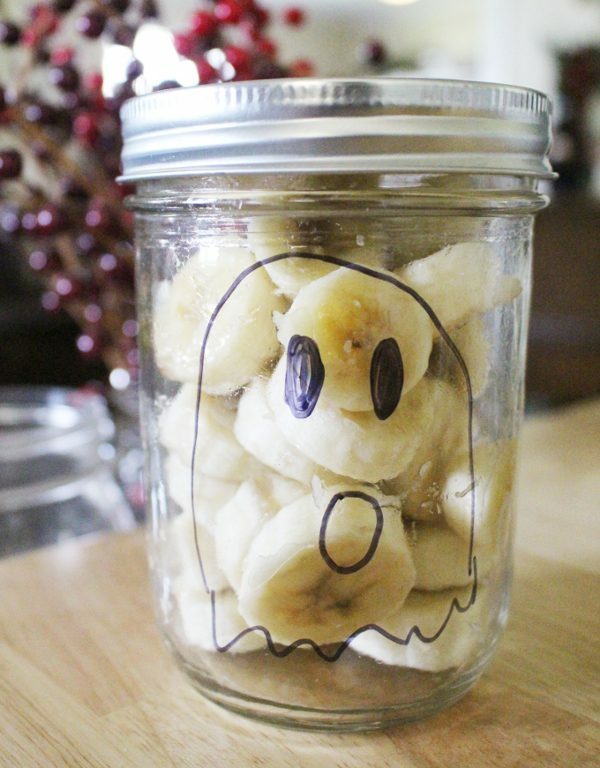 Two medium sliced bananas fit into a single jar for this fun ghost jar. I did a classic, non-scary ghost outline on the jar and called it good! 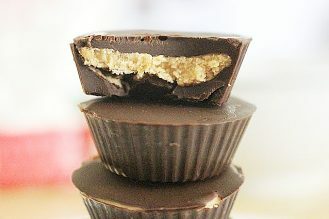 This one is my favorite of the 5 healthy Halloween treats! I cut two red apples into quarters, then using a sharp, I sliced two rectangles into the red part of the apple to look like vampire teeth! 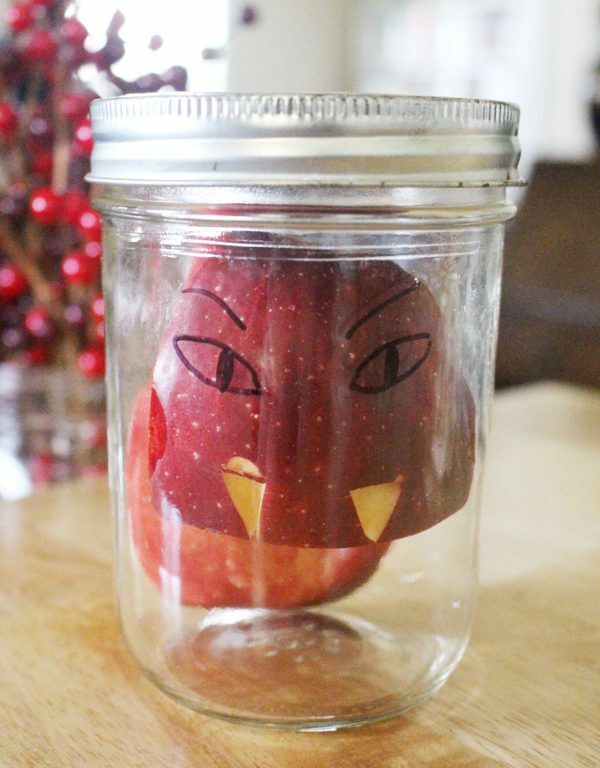 Place them in the jar and add a pair of sinister eyes! Adorable! 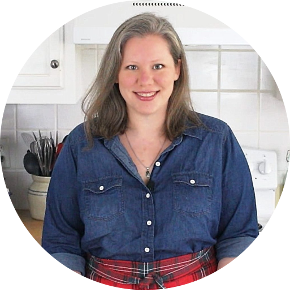 If you’re looking for a sweet treat made with the best ingredients, we’ve got you covered there too!